I love to gift this gift to little kids anytime of year, but realized it is an even better gift around the holidays. 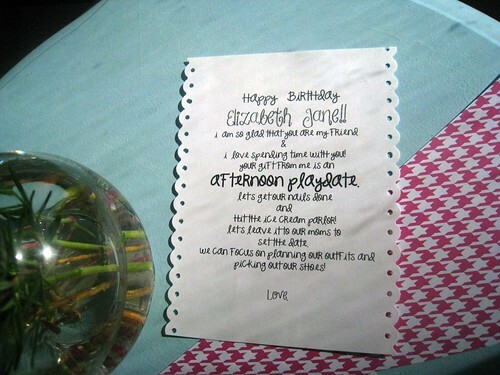 Last year we were bombarded with birthday invitations from Anna Jane's kindergarten friends. Sometimes I made the gifts by hand, sometimes I tried the $10 limit (which is nearly impossible at Target). I didn't just want to give a variation of the same toy that everyone else was giving, if only because as a mom, I know there are only so many toys I can handle in the house. 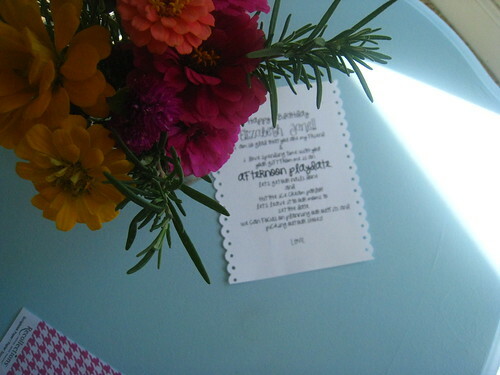 My favorite party of Anna Jane's was the year when we asked guests to bring a plant for her garden, rather than a toy. During this time of year, there are more toys entering the house, more talk about "what the kids want," a focus on material objects. Sometimes we skip the purchased gift and give a playdate. I think time spent with a special friend, doing special things is a meaningful replacement to a plastic toy. 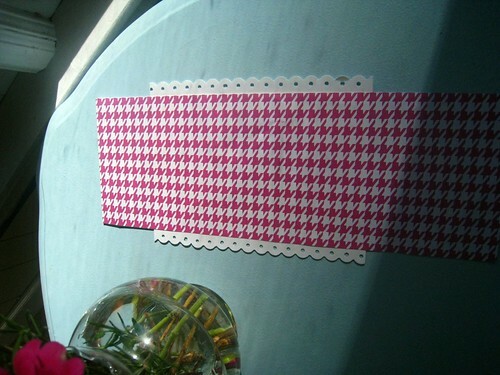 Here is an example that we gave to Anna Jane's friend, Elizabeth Jane. I am so glad that you are my friend! Let's get our nails done and hit the ice cream parlor! Let's leave it to our moms to set the date. We can focus on planning our outfits and picking out our shoes! 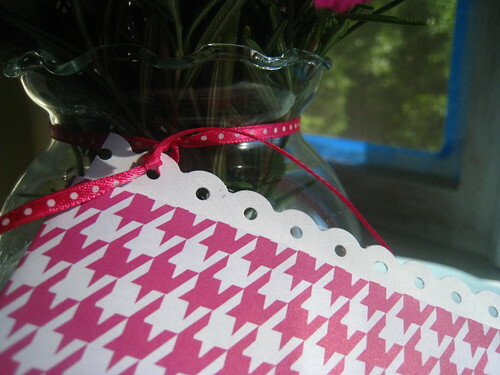 I cut some pretty paper and wrapped it around the card. 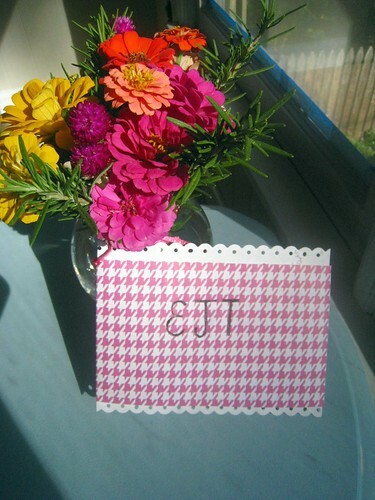 I wrote Elizabeth Jane's initials on the card and attached it to a vase of fresh flowers. 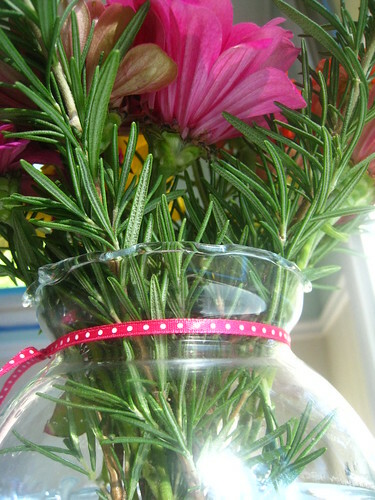 The "vase" is actually a glass fish bowl from the dollar store, and the flowers are cut straight from a garden. There are unlimited ideas for playdates. A trip to the park, the local children's museum, even the zoo. You could buy some pet food and deliver it to the local humane society. Call your local branch and see if they will give the kids a tour. Visit the library, return to the house and bake some cookies. 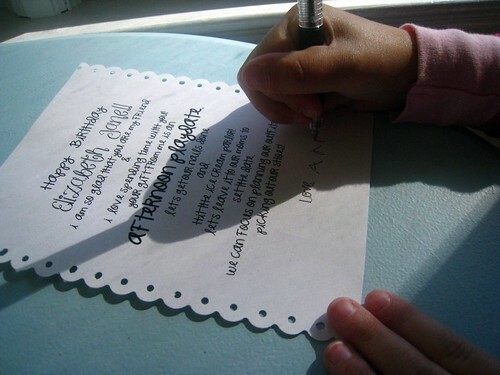 Give memories, give the kids quality time with each other and undivided attention from an adult. Now, don't get me wrong, Anna Jane will be thrilled if she receives a new Barbie from everyone at her birthday party this year, but this is a really great alternative.